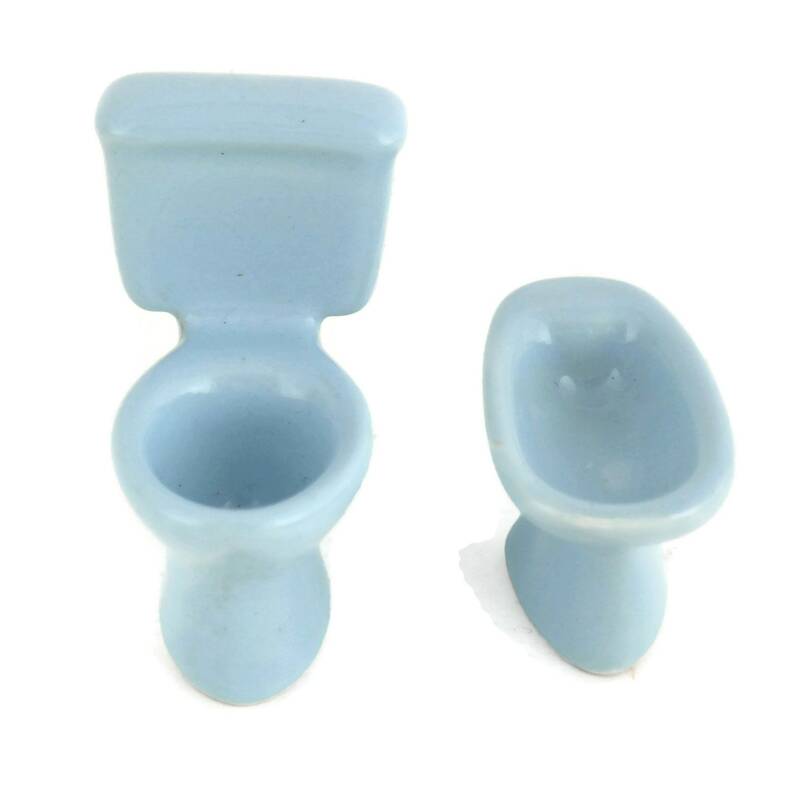 Porcelain Miniature Bathroom Set. Mid Century Enameled French Ceramic Salesman Sample by Selles. 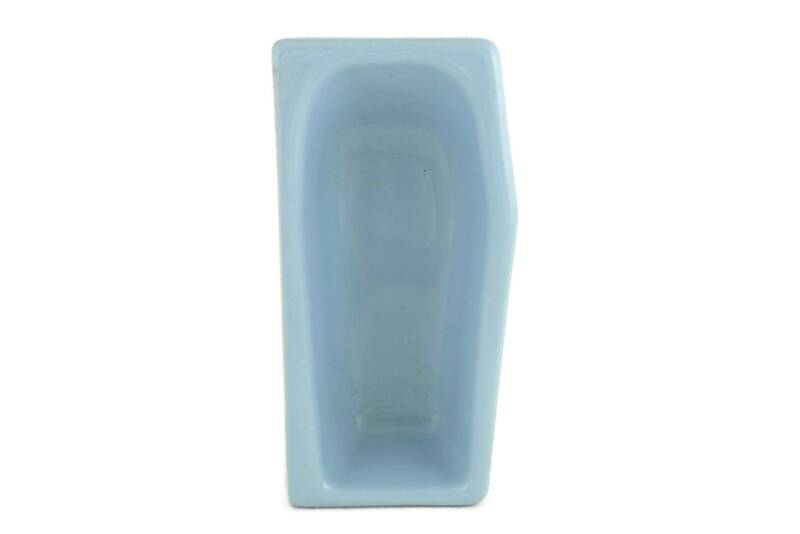 Dollhouse Blue Bathroom Decor. 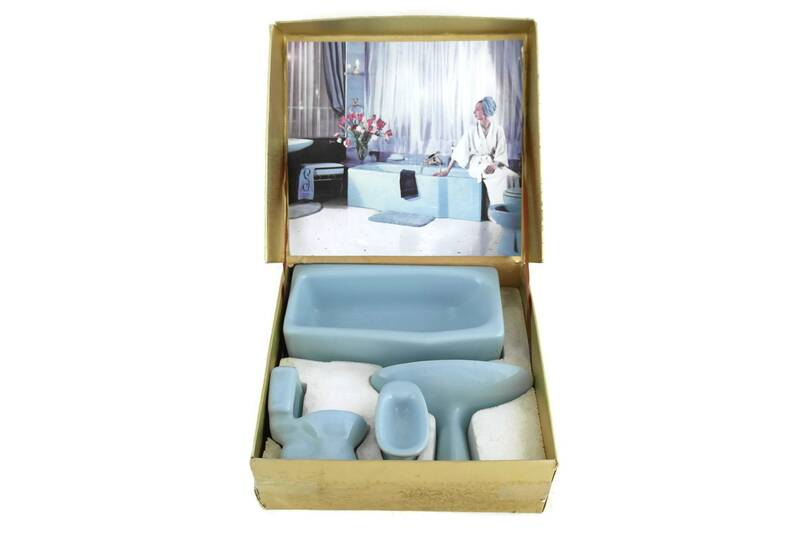 A charming porcelain miniature bathroom set dating from the 1950s. 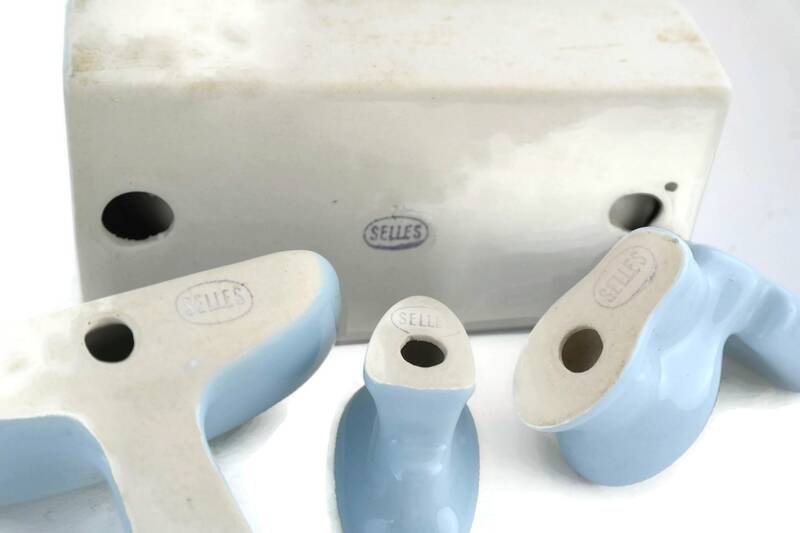 It was originally used as a salesman sample for the acclaimed Selles French bathroom accessories company. 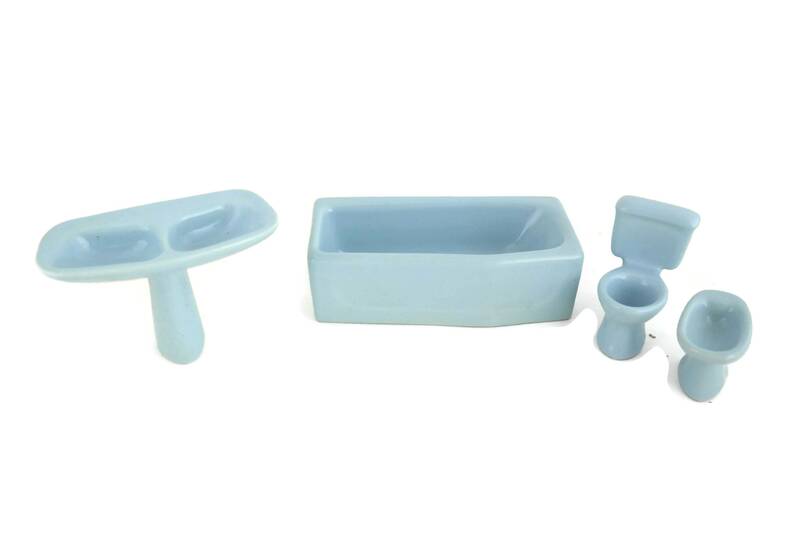 The ceramic set has been manufactured from porcelain that has been enameled in a shade of pastel blue and includes a bath, a double sink, a toilet and a bidet. 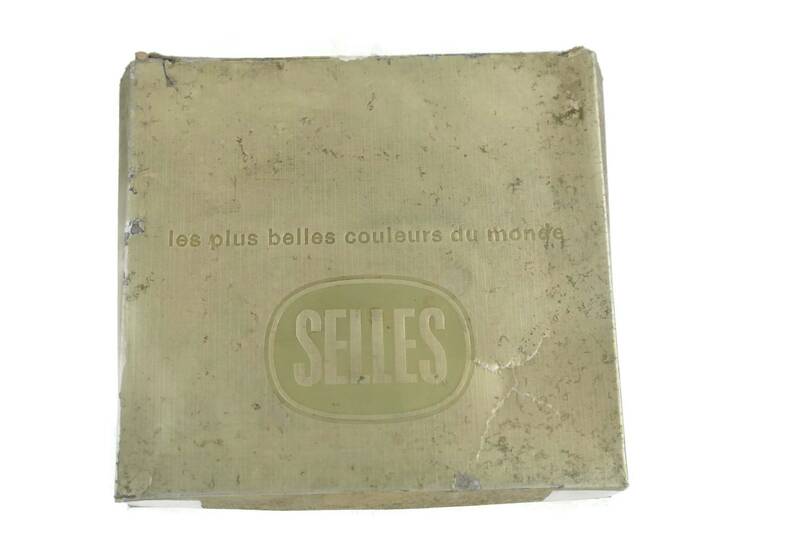 It comes presented in its original box which features the Selles logo and a full color advertising photograph. 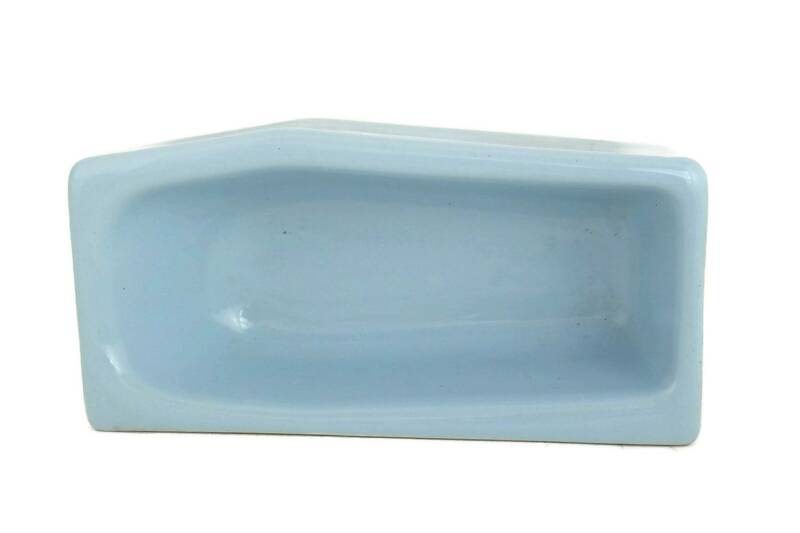 The Mid Century set could be used as a dollhouse bathroom decor. 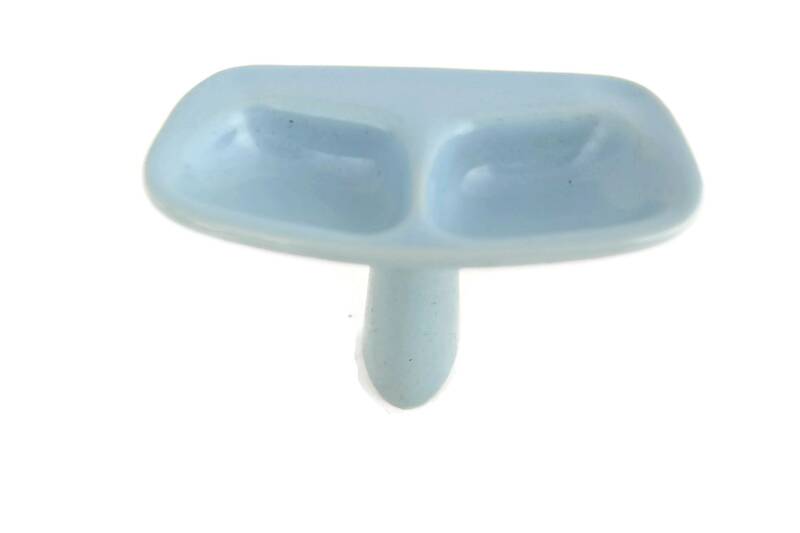 bidet: 2 1/2" Deep x 1 1/2" Wide x 1 1/2 Tall (6 cm x 3,5 cm x 3,5 cm). The vintage set is in a very good condition with no chips or cracks. 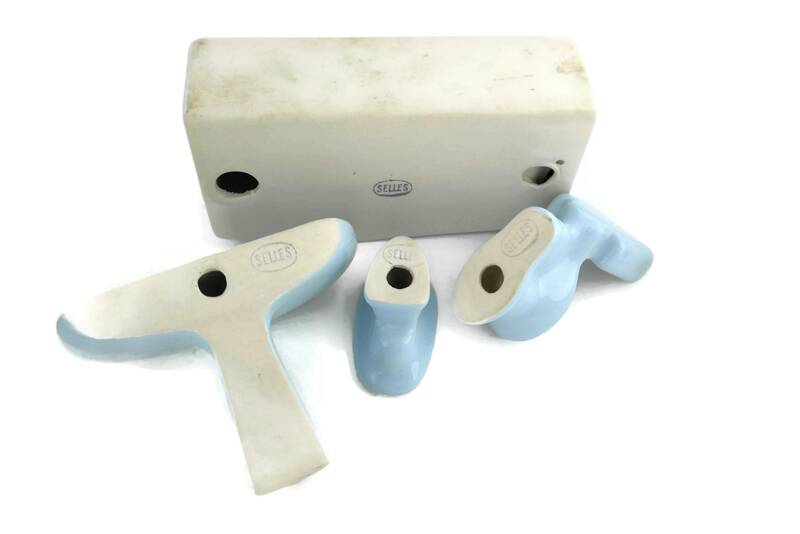 The presentation box is worn with tears and surface marks in places. 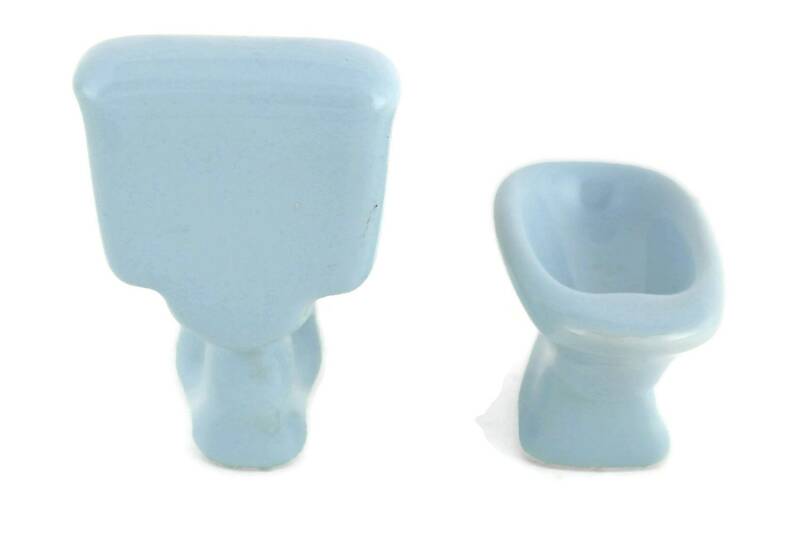 Item ref: Porcelain Miniature Bathroom Set. Mid Century Enameled French Ceramic Salesman Sample by Selles. Dollhouse Blue Bathroom Decor.